Since 2003, Healy Consultants assists our Clients registering their company and doing business with Singapore’s free trade zones (FTZs), in order to benefit from numerous tax advantages and easier custom compliance requirements when exporting abroad. Singapore’s free trade zones are indeed an attractive option for foreign companies looking for a hub from where to distribute their products globally. Singapore free zones also provide an ideal storage solution thanks to i) Singapore’s excellent transportation infrastructure ii) simplified customs procedures and iii) their convenient location, close the Singapore Ports Terminals and Changi International Airport, which appeals to entrepreneurs running a trading and shipping businesses. Jurong Port also houses the Offshore Marine Centre, a state of the art waterfront facility offering services to local and global entities involved in the fabrication of offshore and marine equipment. The Free Zone also offers direct connections to the Changi Airfreight Centre, ensuring that your goods and products are delivered on time. Companies using Singapore free zone must have a paid up share capital of SG$100,000 if a warehouse is required or SG$50,000 if only an office space is required. The paid up share capital must be deposited during the first year of operations and can be used for business expenses. What are the documents required to submit an application for a warehouse/office at Changi? 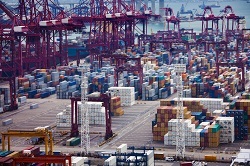 Are goods within the FTZ subject to duties and taxes? Can goods be transported by rail and road into the FTZ? Do I require a license to operate in a Free Zone? How to start a trading business in Singapore? The regulations are quite straightforward when it comes to setting up a trading business in Singapore. The steps to start a trading business in Singapore are same to those for a private limited company and at the end a trading permit is required, based on the traded goods. Depending on the goods involved, special permits might be required before you begin trading.